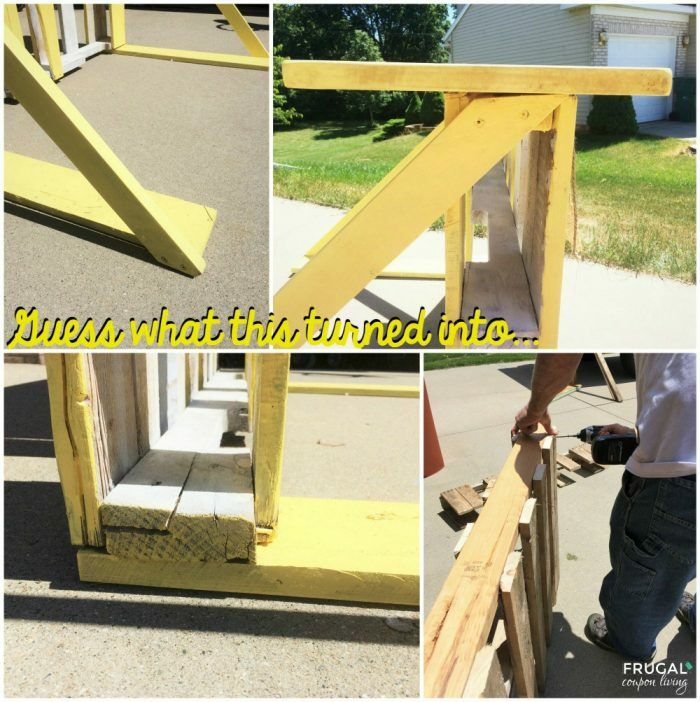 Learn How to Build a Lemonade Stand with a Recycled Pallet. Easy step by step directions to make your neighborhood stand a happening place! Are you raising little entrepreneurs? We upcycled a pallet to make a DIY Lemonade Stand. I have seen these stands for a few years now and I have always wanted one. My friend has kept hers free of the words “Lemonade Stand” and has used hers to sell girl scout cookies and even used it as a concession booth for her annual backyard movie theater – it has so many different uses! That is why we made a little flag banner instead. You can replace it or take it off and keep it free of a sign. Best part, this only cost me $1.00 to make! I bought the pallet from a local hardware store and the rest I had in scrap wood and left over paint from other projects! If you don’t have paint, consider getting the sample sizes from your local hardware store. Measurement Note: These measurements can be changed, and will be different if you make your stand a different height. Feel free to customize how it suits you/ your child. Pound in any nail heads that are sticking out. This is easier than puling them out. Turn the pallet so the slats are vertical. Start by deciding how high you want your stand to be. I made this one to be 30 inches high. Draw a line across the top of the pallet at your height and cut off the top of the pallet. 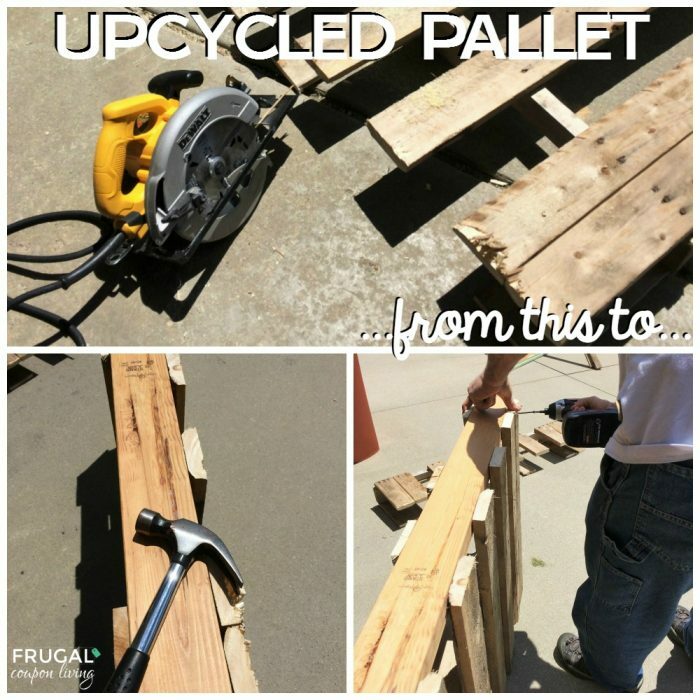 Measure how long your pallet is, and cut your 2×4 that same length. Pound in the 2×4 with a hammer where there is a gap in the pallet where you just cut until it is flush. Place some screws in the 2×4 from the front and back of the pallet to reinforce the 2×4 and make sure it doesn’t shift. Cut your 1/2 inch board or plywood to the size you want your top to be. Mine measured 53 inches by 12 inches. I actually used some scrap wood and pieced two together to make my top. Make sure the table top is placed further towards the back of the pallet, as you don’t want it to tip. Turn the stand upside down and screw in your bottom braces to the bottom of the pallet on each side. Double check the length of the side braces, and make some 45 degree marks on the ends of the side braces so they are flush with the top and bottom braces. Screw the side braces in to the 2×4 on top and the bottom brace for the bottom. Once it’s smooth, your ready to paint! Enjoy! 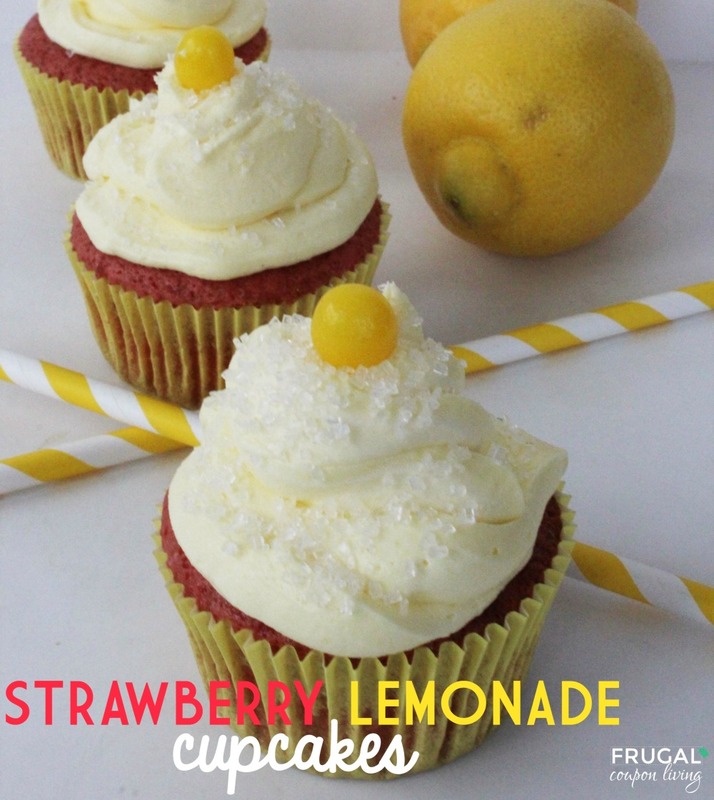 Of course serving a sweet glass of lemonade is fun, but also consider these Strawberry Lemonade Cupcakes! They are a winner in our home. Pin to Pinterest. Also check out our Sweet and Southern Pink Lemonade. Pin to Pinterest. 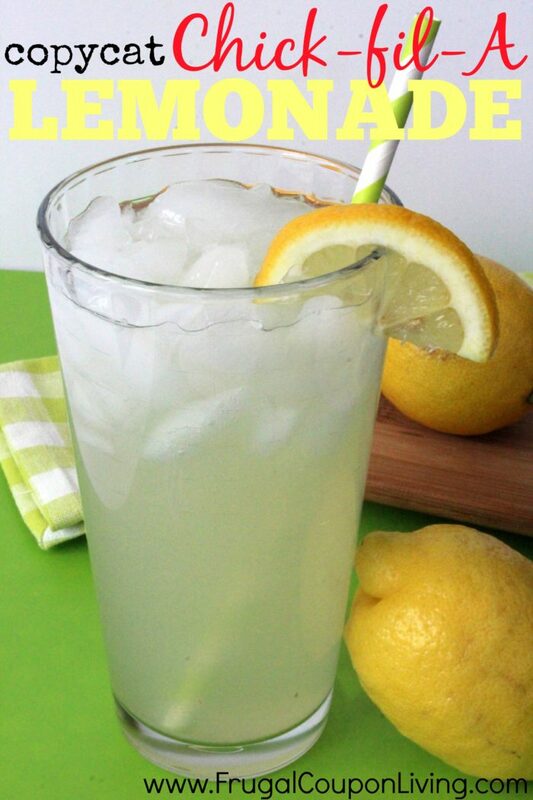 Stay cool with this copycat Lemonade Recipe – Copycat Chick-fil-A Lemonade Recipe. Pin to Pinterest.